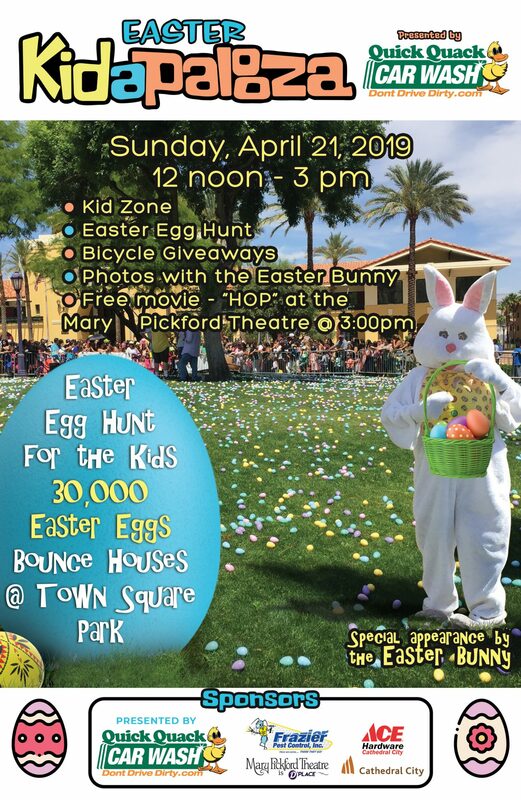 CATHEDRAL CITY, CA. 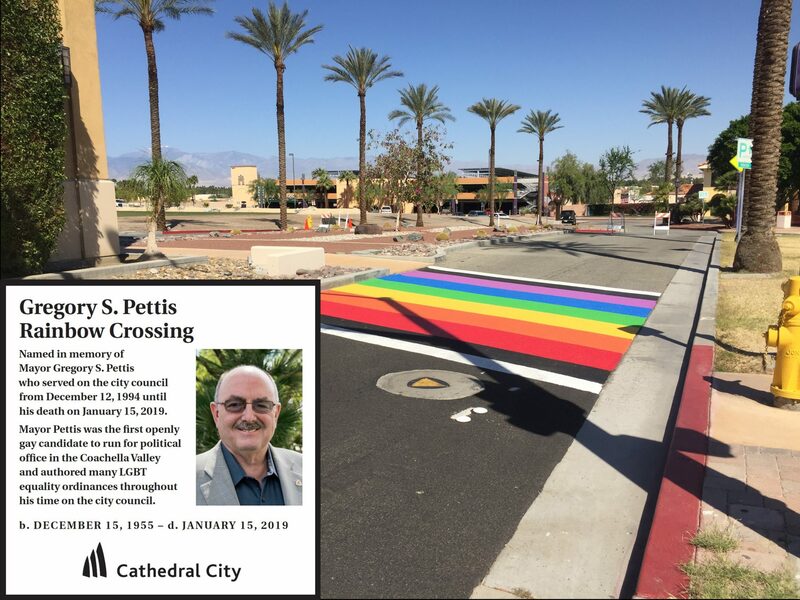 – [March 21, 2019] The City of Cathedral City and the Cathedral City Gay Business Association will host a Dedication Ceremony of the Rainbow Crossing in honor of the late Mayor Gregory S. Pettis on Thursday, March 28, 2019 at 5:00 pm at the Rainbow Crossing located on West Buddy Rogers Avenue near the intersection of East Palm Canyon Drive. Mayor Pettis was the longest serving member of the city council and the first openly gay candidate to run for political office in the Coachella Valley. Over his many years in public office, he helped pass legislation that enhanced the civil rights and protections for the LGBTQ community. 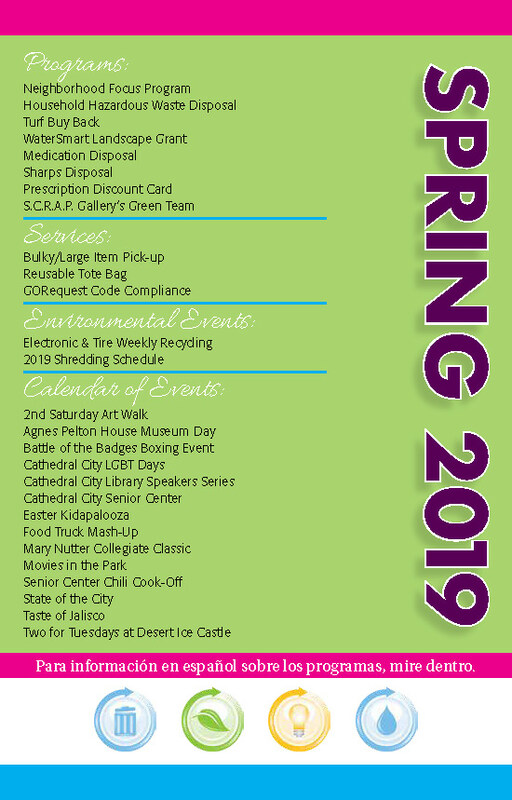 Following the dedication, the Cathedral City Gay Business Association will host a celebratory happy hour at all the participating establishments including The Roost, AMP Sports Lounge, Trunks Cathedral City, The Runway, Studio One 11, and The Barracks Bar.